And this is my first with an adjustable strap! 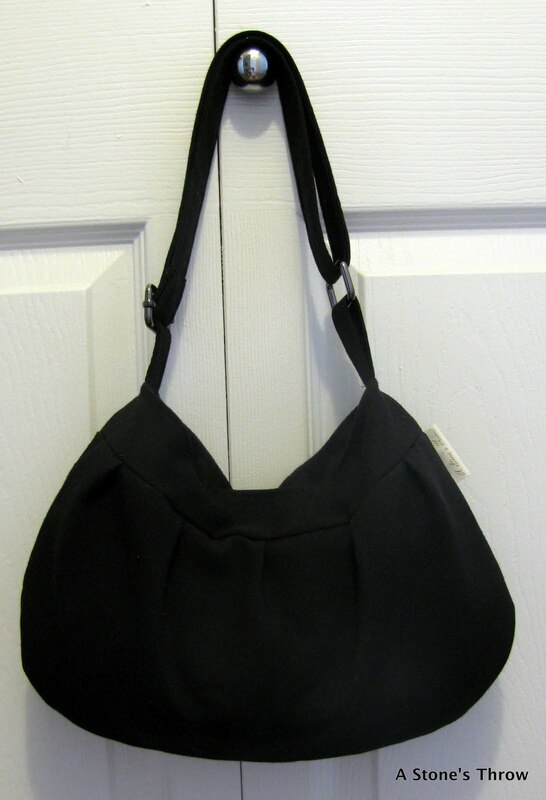 And this one is a solid black one made from linen, with adjustable straps! Hi! I'm a new follower from the SD County Etsy Team. I really love the fabric you chose for all your bags. I also live in Oceanside. Here's my blog, if you want to follow back: http://www.brendashandmade.blogspot.com/.